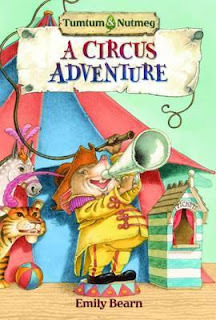 If you have not yet come across this delightful middle grade series, you are in for a treat! 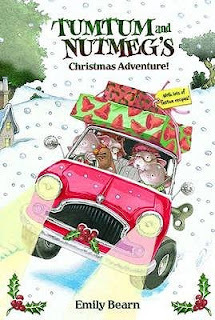 I have read them all out loud to my kids and we enjoyed them immensely. Tumtum and Nutmeg are wealthy mice who live in an abandoned broom cupboard (Nutmouse Hall) at Rose Cottage. Tumtum enjoys eating-as his name might suggest--and Nutmeg enjoys busily fussing about, especially in the kitchen. They get along famously, but to their sorrow, have never been able to have children of their own. 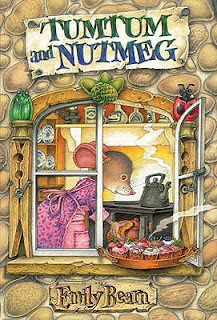 One particularly cold winter, Nutmeg notices that the human children who live at Rose Cottage--Arthur and Lucy Mildew--are having a rather tough go of it. None of the radiators in the house work, and not only that, there's barely any food to be found. You see, they live with their widowed father, an absent-minded inventor who spends most of his time tinkering and next to no time at all looking after them. Nutmeg is very worried about the children and manages to talk Tumtum into helping. They sneak upstairs (the children sleep in the attic) after dark and while Tumtum sets to work on the heater, Nutmeg begins darning socks. When the children wake up, they are certain a good fairy has been in their room. It's actually warm! As humans tend to have rather varying opinions on mice, Nutmeg decides to let them think she is a good fairy. They correspond through notes occasionally. There's a large dollhouse in the corner that Tumtum and Nutmeg take over for stashing supplies (so they don't have to lug so much up the stairs), and every so often for taking naps. The children couldn't be more delighted. These are so great! They're very British. The Nutmouses are used to a genteel life, and would actually prefer not to have adventures, but they keep getting into them for the sake of the children. The stories themselves are funny and exciting, and the chapters are fairly short. There is at least one, sometimes two, charming illustrations per chapter. Our library had 2 separate 3-in-1 compilations, one called Adventures Beyond Nutmouse Hall (books 1-3), and The Rose Cottage Tales (books 4-6). When I bought them, I decided to buy them separately, to make for easier reading. 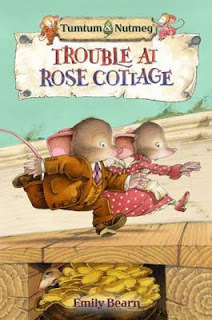 Trouble at Rose Cottage was not in either compilations, so that was a bonus! Wherein Nutmeg decides to help the human children and look after them, like a good fairy or perhaps, like a mother. All is going swimmingly, until the dreadful Aunt Ivy shows up. Aunt ivy hates mice, so when she happens to catch sight of Tumtum and Nutmeg in an upstairs hallway, she declares war. Before they know it, Tumtum and Nutmeg are being hounded and hunted. They only know one person who could possibly help: their old friend, General Marchmouse. He has to pull his troops together soon, though, otherwise it may be too late! **One of the best of the series! General Marchmouse is rather bored, so he decides to pay a visit to his good friends, the Nutmouses. He just so happens to bring along his brand-new pogo stick. It doesn't take him long to decide that the Nutmouse's life is a bit too dull and quiet for him. He decides to go exploring. He finds the children's bedroom in the attic and thinks he must be in heaven! A train, toy soldiers, a house--and everything just his size! He sets up a battlefield and takes command!...with rather disastrous results, I'm afraid. When the fearless General is captured and taken to the children's school, Tumtum and Nutmeg have to mount a rescue operation. This time the children are going camping down by the stream. Nutmeg can't stand the thought of them going alone, with no-one to look after them, so she and Tumtum gather up their things (more like "glamping", mouse-style) and join them. Who should come along, but General Marchmouse? 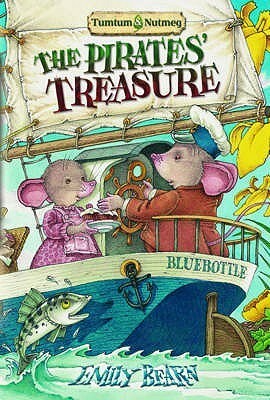 With his usual flair for trouble, he sets them off to sea downstream, in Arthur's model boat--the Bluebottle. They get marooned on an island, and then a gang of pirate rats comes along! Who will save them now?! Arthur and Lucy are pretty glum about their prospects for Christmas. You see, their chimney was bricked up last year--preventing Santa Claus from coming--and it still is not unbricked. When Nutmeg discovers their forlorn Christmas list, she is determined to see that they get their wishes this time. The only problem is--the one mouse who could help is the least likely to want to do it. Baron Toymouse. He has a fearsome reputation, but also lives in an abandoned (human) nursery packed with toys. They are determined to face the Baron, come what may. 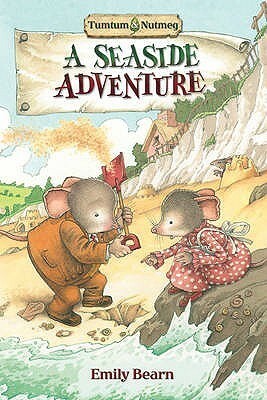 It's summertime, and Arthur and Lucy are sent to spend a couple of weeks at the coast with their Uncle Jeremy. Of course, the Nutmouses decide they must go along to watch over them. When they get there, they discover a mystery to solve. An old dollhouse that used to be filled with all sorts of riches and treasures now stands empty. A treasure map just so happens to fall into their paws. Now to somehow or other either recover the treasure themselves, or get Arthur and Lucy to find it! They run up against more than one shady character, and some danger too, before they're through! The General is up to some new tricks. He decides to run away with the circus that has come to town, to become a world-famous beetle-tamer. But all is not as it seems at this circus. Soon, Tumtum and Nutmeg are on the trail of General Marchmouse--again--and determined to get to the bottom of this strange circus. **Probably our least favorite of the 7. Still good, but we liked the others better. Tumtum and Nutmeg have never had neighbors at Rose Cottage--until now. A couple of town mice, the Goldfangs, move in and start causing all kinds of trouble! Meanwhile, Mr. Mildew has decided to make some money by renovating the Cottage and renting it out to tourists in the summer. Arthur and Lucy are horrified! 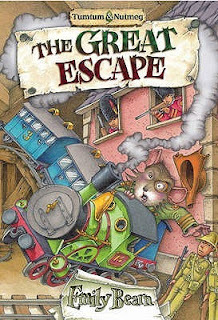 On top of all that, the Nutmouses uncover a plot to find a treasure hidden somewhere within Rose Cottage itself! This could be the answer to all the problems, if only the nasty Goldfangs don't find it first! Just pulling these out made me want to read them to my kiddos again. Have you read any of them? I'd love to hear your thoughts!